Speaking through his brainwashed Clergy, Cult Leader, Lord RayEL urges 7 Billion humans to bend their knee, repent, speak English, and relocate to Israel and meet up on Mount Zion to have a bit of a Jolly, swig back bottles of Port and sing Sarah Brightman songs. Fear not brave Knights of Baja, all will be well, as Mount Zion is SAFE. A vision pops into my mind of hopeless cassocks sitting in a circle and singing badly…. I am being serious. This is Lord RayEL’s EoC. Funny thing is though, not one of his 7900 strong Facebook congregation has heeded his warnings including his Clergy, so its a big ask for 7 Billion. The BEST theology is Parasitology, and believe me, the study of parasites is the study of the future! We must stop looking to the skies for E.T. to return, (i.e. RayEL… giggling) as the Rule of our Creation is within! RayEL and his “Religion” is a neurosis, born out of fear and ignorance, which the ruling clases of all nations, in all times, ritualised and organised to CONTROL the masses. Unfortunately, this Cult hasnt the intelligence to delineate fact from fiction. Connected to Annunaki (Alien) overlords, Templars, Illuminati, condone child abuse, and anything else which is extreme and not the “social norm” – they tick all the boxes for inclusiveness, actually desperation, I mean who in the right tiny minds would want to be associated with Peado lovers. The latest is … the instruction to get to Israel. Once you arrive in Israel you are to ask for “Political Asylum” THIS IS A WTF MOMENT. CURRENTLY, Israel is reluctant host to 46,437 African asylum seekers predominantly from Eritrea (73%) and Sudan (19%) and a small minority (8%) arriving from several other African countries. SO IF YOU LOVE RAYEL AND LIVE IN AFRICA – YOU WILL HAVE LESS THAN A HOPE IN HELLS CHANCE OF GETTING IN. 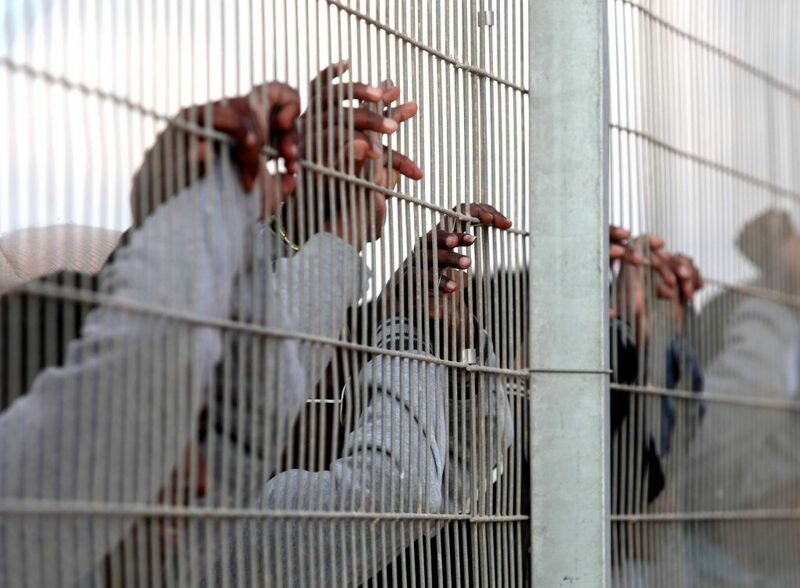 Asylum seekers in Israel are denied basic rights and access to social services and the government of Israel has employed various policies to pressure asylum seekers to leave – including indefinite arbitrary detention, refusal to accept and review asylum claims, limitation of access to basic state-sponsored services, incitement and coerced repatriation. Please note that asylum seekers arriving in Israel have experienced difficulties such as hunger, poverty, persecution and loss of freedom, Yes., this is true. Link here. So wake up please, you are being duped big time by RayEL and his RayElites. No wonder they are keeping rather tight lipped about the process. That is because there is no PROCESS. AGAIN IT IS A BUNCH OF LIES. “When you get to Israel contact us and we will then help you”. Vicar General Cardinal Kelly Patrick. A member of the congregation recently asked… “What’s going to happen after September, 2015”? The EoC have been ramping up their campaign for a September Apocalypse since their Baja Seminar back in May, fudged incomprehsible Torah codes accompanied by badly made conspiracy videos all pointing to some holy shin-dig’, and RayEL to be welcomed in Israel by Rabid Rabbis). The Rabid Rabbis have ignored all contact – no surprise there and WHERE IS RAYEL? “It shall be the fall of Babylon. WW3. Nation shall go against Nation. Polar shift. Fire shall scorch the Earth all mentioned in the Revelations . The Judgement of Mankind”. So, on that happy note…. I think it is time to buy up as much RayEL merchandise, see if I can get my sticky mitts on that Port, find a cave and hide. They do not care about the lives of their facebook members. These people are not of God , they bring people into group who are looking for God, they expect the returned Christ and end up with Satan. God help the fools who go to Mt Zion to be sacrificed. This is nothing more than absolute hogwash. He needs the money not to go to ISRAEL – but to go to another Country – one which he will be safe. They are on the move. Watch this space. In the meantime, please share, and tell warn folks NOT TO GO TO ISRAEL – read the blog, you will see why. I do not know about the criminal histories of all those facebook members but I can tell the criminal backgrounds of the group in Baja would prohibit them getting into Israel. Unless that UFO they claim is picking them up and bringing them in for a landing, the facebook members would be their alone. In all honesty Elaine, this group of Freeloading Tub Thumping Bible Bashers, will not be leaving Baja at all. Israel is very selective – too many of these are what we call here in England “off the spectrum”. What cowards they are telling these facebook members to make their way to Israel. If they are not willing to lead by example then that should make you wonder about what their asking you to do as merely facebook members. Israel and any country with road that lead there will not allow them even close. It’s over and done with so hopefully someone will shut down there facebook page. There names are on the watch list by now. Tried that, for a time successfully in 2012. Obviously you wised up to their absolute rubbish. Interesting to have another x-member of the Cult here commenting. Spoke to another member last night, who has been “chucked out” for not complying to this order. (What this blog is about). All I can say is thank goodness that person has seen the light.